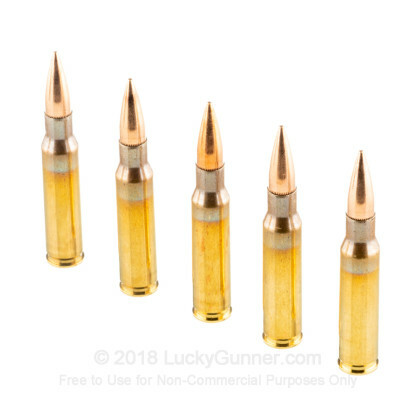 Precision Made Cartridges (PMC) has gained a reputation in the United States for delivering quality products that are reliable and affordable. 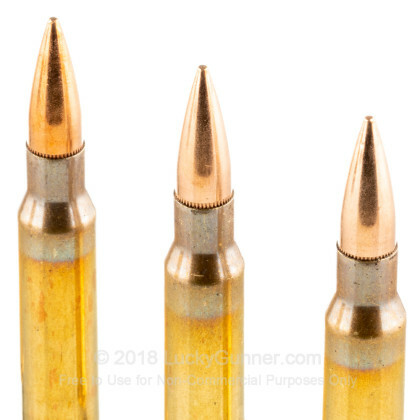 These 7.62x51mm rounds are loaded into boxer primed new production brass cases that are re-loadable. 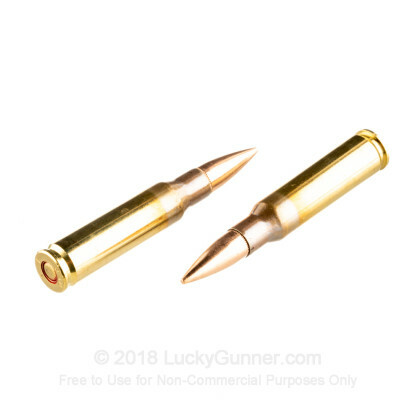 Each projectile in this box of 20 is a 147 grain Full Metal Jacket Boat Tail (FMJ-BT) that achieves a muzzle velocity of 2,800 feet per second. 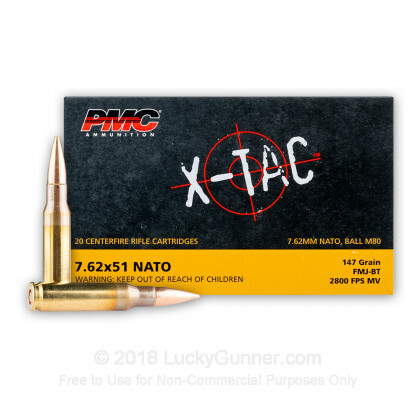 These cartridges are loaded to MIL SPEC tolerances making them perfect for your NATO chambered rifle. PMC ammunition is the commercial division of the Poonsang Corporation located in South Korea. Poonsang manufactures ammunition for the South Korean military and dates back to 1968. Due to their unique vertical integration, Poonsang also manufactures all of the cartridge components that they use for loading this quality ammunition. By doing this, they can control the quality of the brass, primers, powders and projectiles throughout the entire manufacturing process. 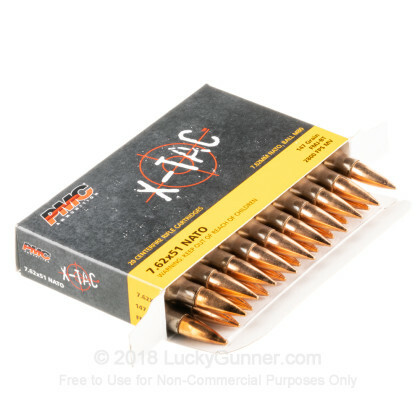 The result is very consistent ammo that is reliable and offered at a very competitive price point. Pick up a few boxes of these MIL SPEC rounds and see why shooters all over the world trust PMC ammunition. 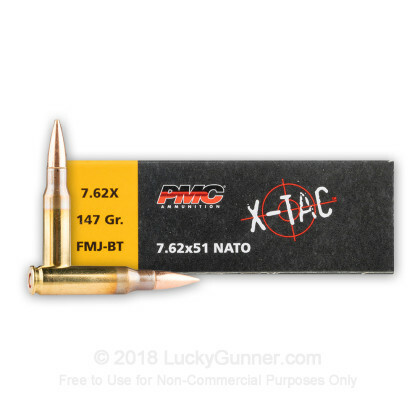 We also have this 7.62x51mm - 147 Grain FMJ BT - PMC X-TAC - 500 Rounds ammo in stock in a bigger quantity.